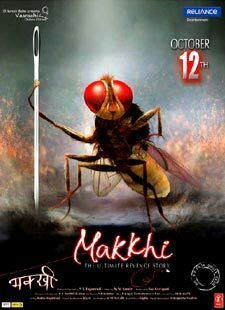 Thoda Hans Ke Lyrics of Makkhi : Thoda Hans Ke is a beautiful hindi song from 2012 bollywood film Makkhi. This song is composed by M. M. Kreem. Anuj Gurwara has sung this song. Its lyrics are written by Anuj Gurwara. Mujhe thoda thoda apna to bana..
Is deewane se nazrein to mila..
Main sari duniya paar kar gaya..
Main saaton janam tujhko hi chahoonga..